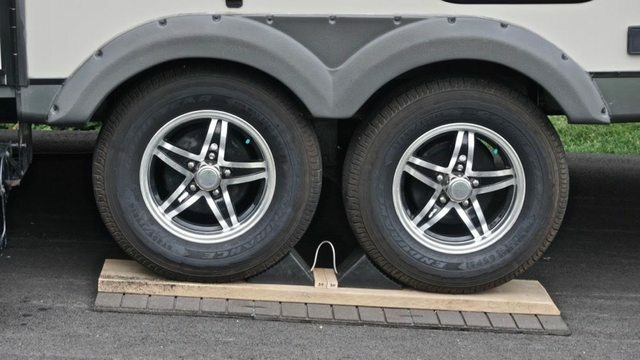 RV.Net Open Roads Forum: Hitch jack fully extended: Should I be nervous? > Hitch jack fully extended: Should I be nervous? The snow is almost gone, and the camper is out of storage and in our driveway, YAY!!! I always try to get it as level as possible in our driveway so we can open our slide as level as possible, but to get the level camper requires lots of wood, and a hitch jack that's fully extended. Should I be nervous? About six more cranks would get it level, if the jack wasn't already fully extended. You can see in this picture that the front end is almost three feet off the ground! So with all that wood piled as high as it can, and the jack fully extended, should I be nervous? If we're inside walking around it always feels SO wobbly. I always wonder if I'm asking too much to have the jack fully extended. Do I risk just having the whole thing nosedive on me some day? I would add more wood so less of the jack is out. When we had our TT I had to use 4 treated 6x6 inch post pieces that I stacked like a pyramid. I also put two pieces stacked under the front stabilizer jacks to add more stability. The problem is I can't add any more wood. When I back into the driveway, that stack of wood takes up all the space between the driveway and the (fully retracted) jack. If you are concerned build your "woodpile" up another level. The width should remain similar to now, the wider, the better, as you gain height. I had used two 8" concrete blocks next to each other with another 8" block on top and a 2" x 8" on top for my pad for a 28' tt. If the slope is that bad, just make sure you are well chocked. 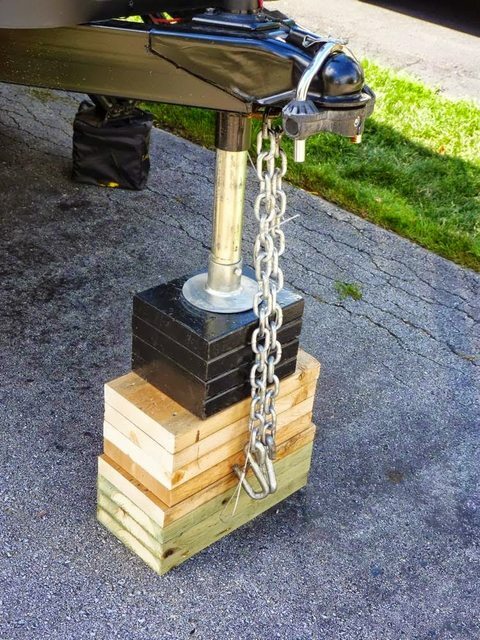 If it’s there for a while, lower the hitch on to a jack stand, crank up the jack and add more wood. Reverse to hook back up. Or put the front stab jacks down- on blocks. Agree to add more wood and add a tongue foot to the bottom of the jack. 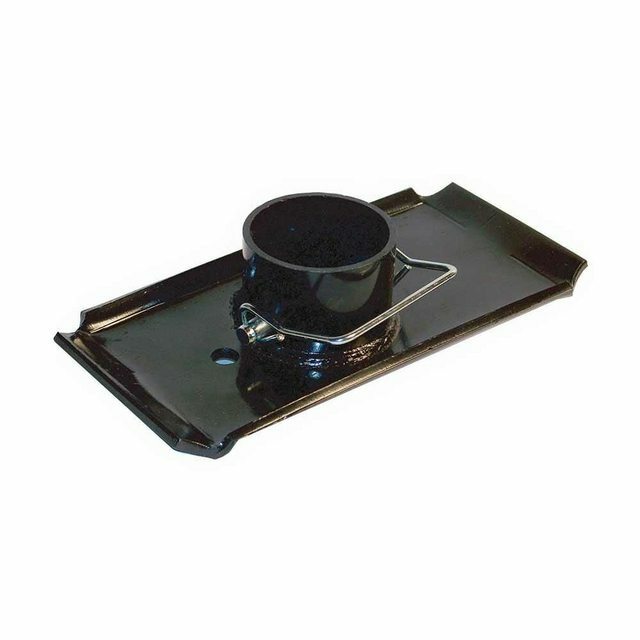 I have a farm jack that I would use to hold the tounge up and raise the jack to put more wood underneath. 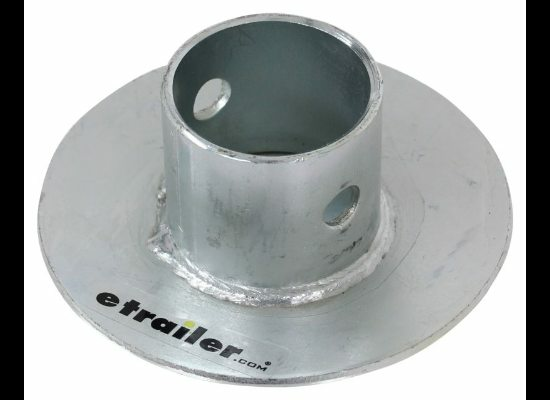 Leveling your trailer. I would suggest you buy a couple stationary jacks that would fit under your frame on the front of your trailer. Lower your hitch jack so the frame rest on the jacks to take most of the pressure off your hitch jack. I would also lower your rear jacks to help stablize the trailer. A little difficult to tell from your pic but is the trailer even chocked? I have a significantly sloped driveway so anytime the trailer was parked on it not only was it chocked but I also used a triple stack of 2x under the tongue jack so the jack itself isn't excessively extended when the trailer is level. I would recommend the shoe and more wood considering the jack tubes are both hollow pipes. My problem though with that much tilt was that the hitch and the coupling would lock up.